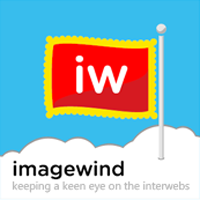 "Microsoft has pulled pulled Imagewind from the Windows Phone Marketplace, an app that basically pulls random images en masse from the Twitter-stream, splaying them all over your touchscreen." So it appears that Microsoft has taken one of the first steps that I have heard of since the release of the Windows Phone 7 platform and availability of the Marketplace to remove an already released app that they believe could be somewhat controversial. The app, Imagewind, which takes random pictures from a "twitter-stream" and enables you to display them on your phone does so without a "filter" in Microsoft's opinion. The filter that Microsoft has indicated it would like to see would filter out less than desirable or "seedy" images. To me, this sounds like a really cool app, but could also make for some very uncomfortable situations when less than desirable images pop up on your screen. I'm voting for a good call, however, this one I could also put into the "don't install it if you don't like it" category. I'm neutral but not in favor censoring others creations.